I was delighted to join the crowd in viewing the outstanding Vermeer exhibition at the National Gallery of Art in Washington, D.C., today. The exhibition includes almost seventy works by the seventeenth-century master and several of his contemporaries. The various rooms of the exhibition included grouping of oils related to such topics as lacemaking, musicians, pendants, courtship and love, and prominent men. But the focus is on women. 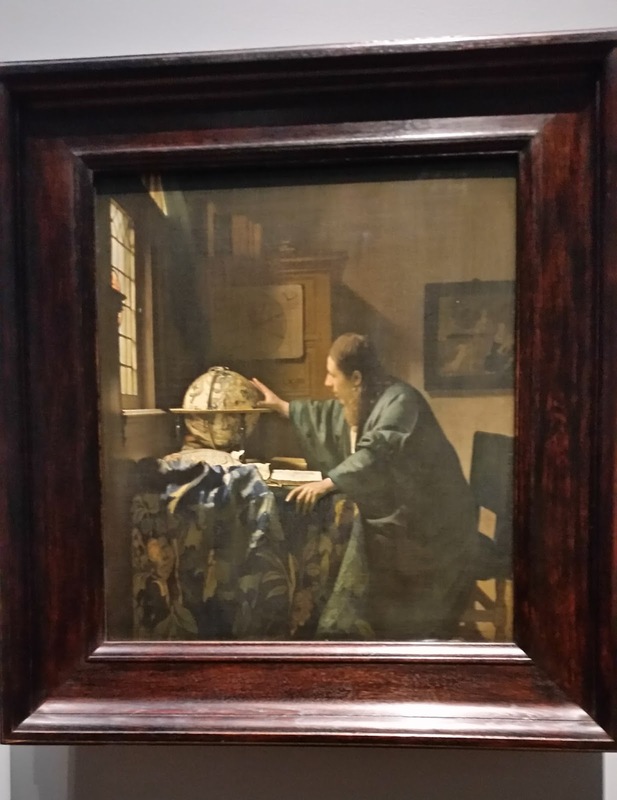 My favorite paintings were Vermeer’s “The Astronomer” (1668) and “The Geographer” (1669). Both of these works show the vibrancy of exploration in the Dutch Republic of that time. I came to Vermeer and other Dutch painters of the period through my interest in the political and naval power of the Dutch Republic. I was enthralled by the might of this tiny country which I grew to appreciate through the magnificent work of the American historian John Lothrop Motley, “The Rise of the Dutch Republic,” a three-volume set published in 1856.